Hack store-bought donuts to make them look fancy with this easy upgrade! 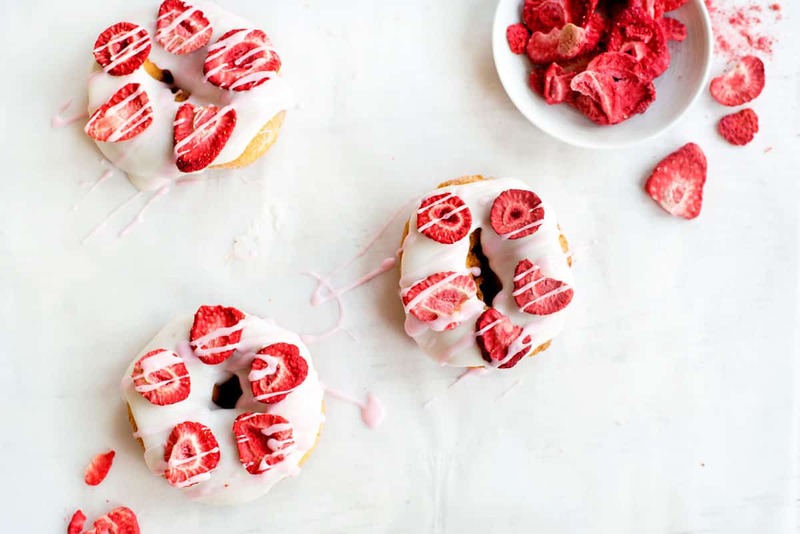 All you need is glaze and freeze-dried strawberries – perfect for Valentine’s Day! Looking for a great last-minute way to surprise that special someone in your life for Valentine’s day? 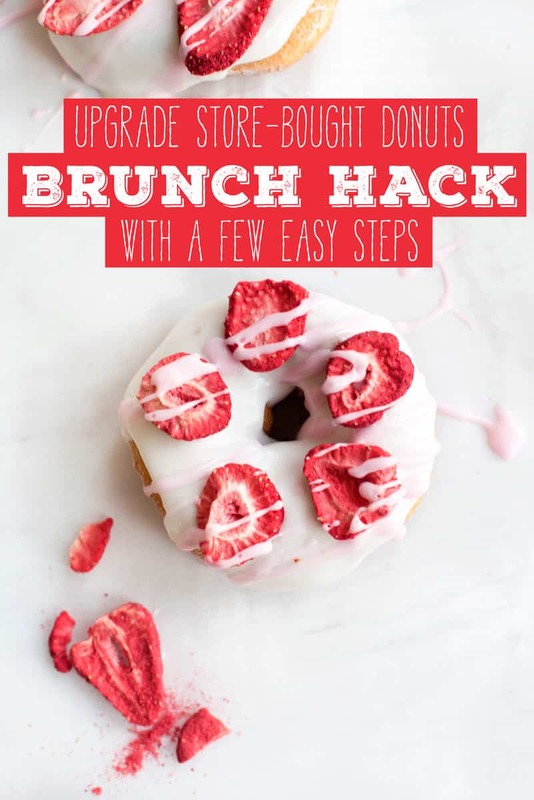 This donut hack is a fun way to make some seriously eye-catching brunch food. Make things easy by skipping the hassle of making doughnuts at home and start with store-bought doughnuts. 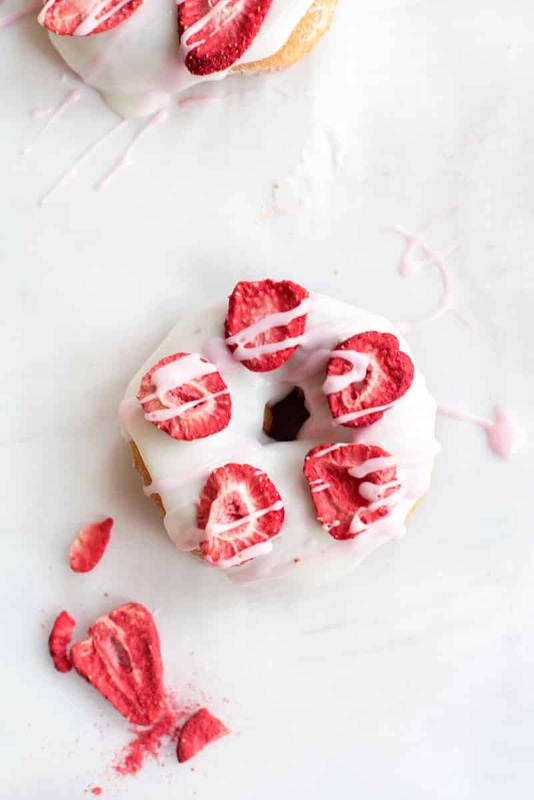 It’s so easy to make your own glaze and add a few freeze-dried strawberries to make the fancy donuts you see in these photos. They are totally Instagrammable, inexpensive and will earn you serious breakfast-in-bed brownie points. 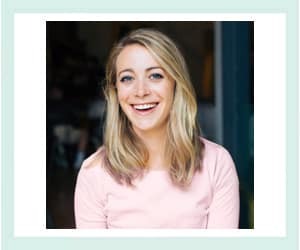 Thanks so much to Ally from Fashion By Ally for help on filming this video! This one would be great for Valentine’s Day too if you make red and pink colored powdered sugar. It’s been almost a year since I last played with colored powdered sugar and I’m getting totally inspired to make up some more! What are you doing for Valentine’s Day? Are you all about spoiling your significant other, do you like to spend it with girlfriends, or is it just another day? Let me know in the comments below! As always, thank you so much for reading A Side of Sweet! For more Sweet in your life, you can find me on Instagram, Pinterest, Facebook, YouTube, Bloglovin‘, Snapchat (@asideofsweet), or Twitter. You can also subscribe to receive a weekly email with new posts. Hack store bought donuts to make them look fancy with this easy upgrade! 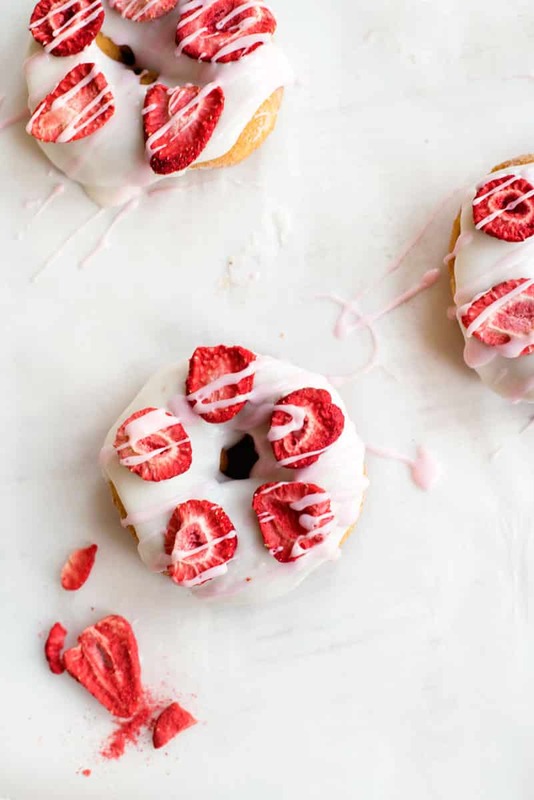 All you need is glaze and freeze-dried strawberries – perfect for Valentine’s Day! 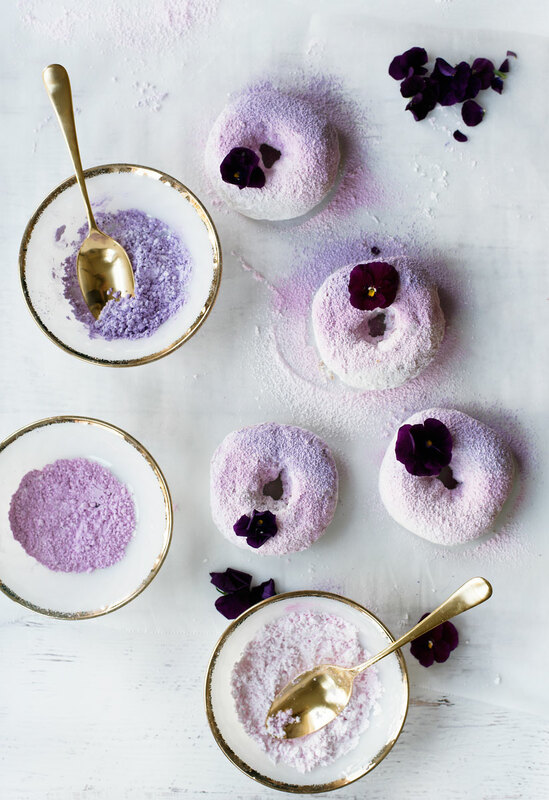 Make the doughnut glaze: Combine powdered sugar and milk and stir until smooth. Separate into two bowls and tint one bowl with gel food coloring if desired. A tiny bit of coloring goes a long way, so if you overdo it, just add more white glaze to dilute the color. Spread white glaze on top of doughnuts. Top with freeze-dried strawberries. Use a spoon to drizzle remaining colored or white glaze on top of strawberries.